The Dole Archives offers tours by appointment. Please contact us to schedule a tour at jbergene@ku.edu or (785)864-1420. The Gallery Tour focuses on how Bob Dole overcame hardships and ended up as the longest serving Republican leader to date. 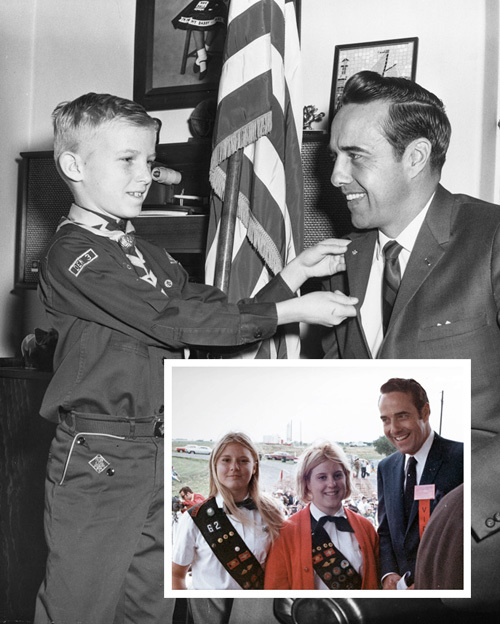 This tour takes visitors through the exhibit hall detailing Bob Dole’s childhood during the Great Depression, his service and injury in WWII, his work in Congress and 1996 presidential campaign all the way through his current activities as an active private citizen. The Archive Tour is for those interested in going behind-the-scenes in the Dole Institute Archive and Special Collections. The tour begins upstairs with a brief summary of Senator Dole’s life and continues through the Reading Room, Processing Room, and collection storage. Learn how archivists preserve and maintain collections. 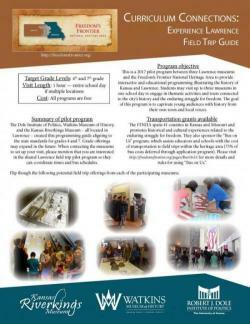 Do you have a school or scout group that you would like to bring to the Dole Institute? We would be glad to provide a tour that focuses on common core standards or badge requirements. Contact us at jbergene@ku.edu or (785)864-1420 at least two weeks before you plan to visit, and we will tailor your visit to meet your requirements! Check out our newest K-12 educational opportunities! Click left for more information on standards-based field trips highlighting our local history within the Freedom's Frontier National Heritage Area. 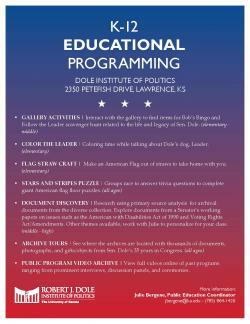 Click right for possible activities your class can explore in the Dole Archives!